Fourteen years ago I became a mother to a boy and girl set of twins. 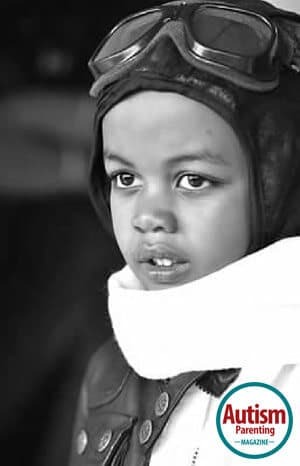 Two short years after that my son Jon, began losing language and was soon diagnosed with autism. Maybe some of you can relate to the whirlwind that begins when you hear that your precious and beloved child has an exceptional need. I describe it being pulled out with the tide, rolled and tossed by the ocean, and then if you stop struggling, you find yourself underwater in a new and mysterious world with skills more amazing than you dreamed and that you never knew you possessed…such as breathing underwater. It isn’t easy. I live an unusual life now. After years of interventions and fighting for services, fighting for understanding, fighting against the world as it was, we walked away. Literally, we walked away. In the short version I struggled to find a charter school that would accept my son due to his bathroom accidents. He attended private school with an aide for a year while I went to grad school and worked full time. He went to a public school for four days. He began pulling his hair out and screaming not to go. I watched boys tease and bully him while I was a few feet away. I felt helpless. So did he. So I told the teacher we were leaving. “You can’t do that,” she said. “Watch me,” I replied and we walked out of that school, that life, forever. I dreamed of opening a school. I think I always had, but got caught up in worrying about how life looked and the approval of others. A new fuel filled me; I was so tired of fighting against things that were, and I began to fight for the way I wanted things to be instead. After three challenging years, Jordan Lake School of the Arts, opened its doors. We are going on our fourth year now. The kids have grown and changed. Jon’s words are still coming back and he smiles — the satisfaction of knowing what it is like to belong, to have friends, and to be part of a school. I have remembered why I love teaching and I feel passionate about it again. We hike every morning at school, do academic work, and have arts all afternoon. The kids just finished performing Rats!, a play based on the Pied Piper. I guess what I want people to know about special kids is that they do change your life. They turn it upside down and inside out and shake it every which way. It doesn’t look or feel the same-and therein lies the gift. I used to dream of the status quo, now I shoot for the stars. I used to feel the need to be normal and I now I know the beauty of being myself. My son and the unique kids with autism who are my students have taught me that. I don’t want to spend time with anyone else. I feel more alive and live with more purpose that I ever had in my picture perfect “normal” life. To those of you reading this who have just received a diagnosis for your child, you may not believe me now. Mark my words. You will be grateful one day, if you can relax and trust this was all completely intended, that you are made for this experience and that the growing and learning strengths you never knew you had, is the point! Your child is your teacher and you are theirs. It is a symbiotic and heavenly thing and you both deserve to enjoy the experience regardless of how far behind society is in understanding unique individuals. Don’t buy into the lack of what is, see where the world needs to change and be the one to bring it along. You can do it, or you wouldn’t have been picked for the job. And trust me, the people who you meet who “get it” are worth a thousand of those who don’t. Your child has given you a chance to remember what it means to be free from caring what others think and to see the beauty of things the way they are. I hope I can inspire you to see the beauty of what is and the opportunity that is woven into a one of a kind package…that perfect and special child that has brightened your life. There is something in you that is going to grow and blossom because of this experience. You are one of the lucky ones. Enjoy the gift. Students arrive with the ability to teach you of your own strengths and weaknesses. Welcome the lesson. Remain true to your mission in life and work — a purposeful life is a powerful one. Stay on course. My son whispered to me in one of my periods of doubt in my dream of a school, “You have to believe it, Mommy.” He was right. Not everyone believes in inclusion. They may have material success, but their lives with never be as rich as those who do. Everyone says they will move mountains for their child. Some really will. Hold these people close because they are bound to change the world. Jordan Lake School of the Arts is a small inclusive private school community in Apex, North Carolina. They offer a top-quality liberal arts program with a focus on nature and arts. All students benefit from small class size, an art-based education, and hands on activities in a beautiful stress-free setting. The school fosters independence, self-confidence, and academic and social achievement. 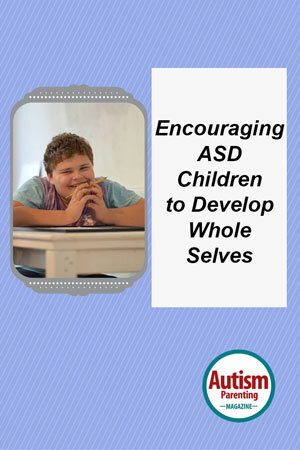 With a multi-faceted approach to instruction children learn with their whole selves. Experiential opportunities promote learning, connection to peers and inspire students to explore the world they live in. Beth Kuklinski is a graduate of North Carolina State University with a Bachelor’s in Education, graduate coursework in Special Education, and is completing a Master’s in English with a specialization in multi-cultural and transnational literature. Beth is the founder of Jordan Lake School of the Arts: an arts and nature based pilot program inclusive to children with autism and was a radio host of Breathing Underwater: Stories of Autism airing on WCOM and nationally podcast on AutismRadio. She is working on her first book about progressive education. Thank you for inspiring us to start whatever our child needs if it is not offered elsewhere. So much to say. My son, 59, is finally getting some answers of why his brain works the way it does! I admire his perseverance! God bless you, and my others start schools/group homes/whatever is needed so our children can have fulfilling lives! !